Edie “Eda” Elizabeth Hoehamer was born in Blackcreek Township, Mercer County, Ohio, on 3 September 1901, the daughter of William and Margaret E. “Maggie” (Kallenberger) Hoehamer. She was baptized at Zion Chatt as Ida Elisabetha Hoehamer on 22 Sep 1901, with her maternal grandparents Andrew and Elizabeth (Burkhart) Kallenberger serving as her sponsors. Eda was confirmed at Zion Chatt by Rev. W.F.H. Heuer on 30 May 1915. 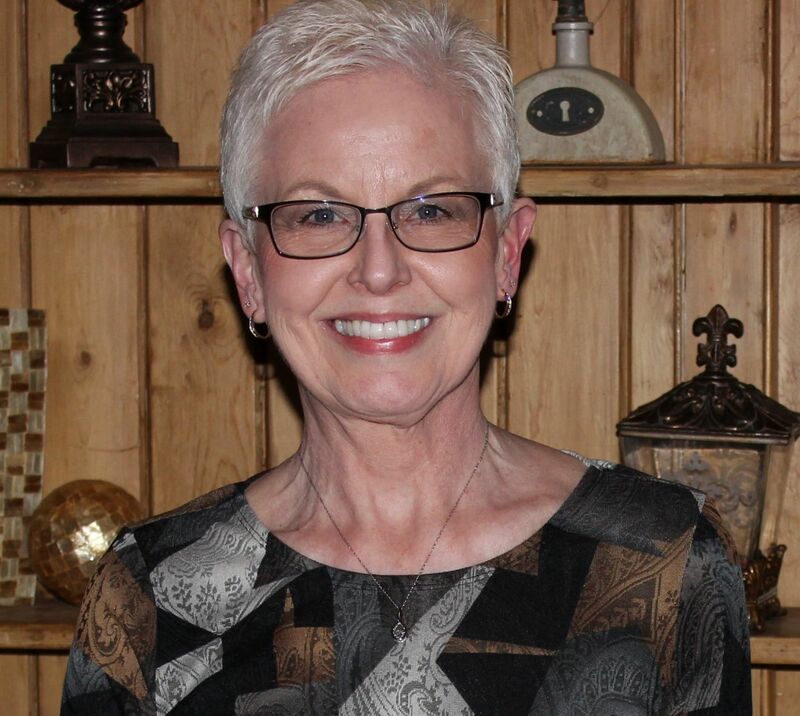 She was confirmed as Ida Hoehamer. Eda and Carl attended Zion Chatt back then. They had a son, William Ansel Levine, born 29 January 1924, and a daughter, Elizabeth Jane Shindeldecker, born 15 April 1925. Both were baptized at Zion Chatt on 19 July 1925 and William Jr and Maggie (Kallenberger) Hoehamer, their maternal grandparents, were their sponsors. 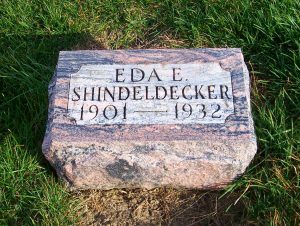 Within the next year or two the Carl Shindeldecker family moved to RR#2 in Beaver County, Pennsylvania, where Eda gave birth to another child on Christmas Day 1932. Eda died a few days later. According to Zion Chatt’s records Eda Shindeldecker was survived by 2 daughters, her parents, a sister and a brother. If that information is correct, I wonder what happened to their son Ansel. The other daughter mentioned was the child born on Christmas Day, a few days before Eda died. Eda’s siblings were Friedericke Louisa “Freda” Hoehamer (1903-1970), who married John Patrick Martelock and Wilhelm Andreas Hoehamer Jr (1909-1978), who married Alice Luella Deitsch. “Ohio, County Births, 1841-2003,” database with images, FamilySearch.org, Edie Elizabeth Hoehamer, 3 Sep 1901; Blackcreek Township, Mercer County, Births, Vol. 4, p.58, no.75; FHL microfilm 2367098. 1910 U.S. Census, Dublin, Mercer, Ohio, ED 111, p.7B, dwelling 182, family 187, William M. Holehower; Ancestry.com; FHL microfilm 1375227, NARA microfilm T624, roll 1214. 1920 US Census, Blackcreek, Mercer, Ohio, ED 124, p.10A, dwelling 190, family 190, line 20, William Hoehamer; digital image by subscription, Ancestry.com (www.ancestry.com : accessed 21 July 2013); from National Archives microfilm T625, roll 1418. “Ohio, County Marriages, 1789-2013,” database with images, FamilySearch.org, Carl Shingledecker & Eda Hoehamer, 24 Jul 1923; Mercer County Marriages, Vol. 12, p.225; FHL microfilm 2366955. 1930 U.S. Census, Dublin, Mercer, Ohio, ED 6, p.9A, dwelling 153, family 191, Carl Shindeldecker; Ancestry.com; NARA microfilm T626. Pennsylvania Death Certificates, 1906-1966, Mrs. Eda Elizabeth Shindeldecker, 31 Dec 1932; database on-line, Ancestry.com; Pennsylvania Death Certificates, Pennsylvania Historic and Museum Commission 1906-1963, series 11.90, certificate no. range 106501-109500. FindAGrave.com, Betty D. Shindeldecker Carlgren, memorial no. 123841622, accessed 23 Apr 2018. FindAGrave.com, Carl Ancel Shindeldecker memorial no. 19180823, accessed 23 Apr 2018. Indiana, Death Certificates, 1899-2011, Carl A Shindeldecker, 15 Apr 1989; database on-line, Ancestry.com, accessed 23 Apr 2018; Indiana Archives and Records Administration, Indianapolis, Year 1898, roll 7.